That’s super cool! My daughter would love this. My neices and nephews could have fun with it. This looks really cool. 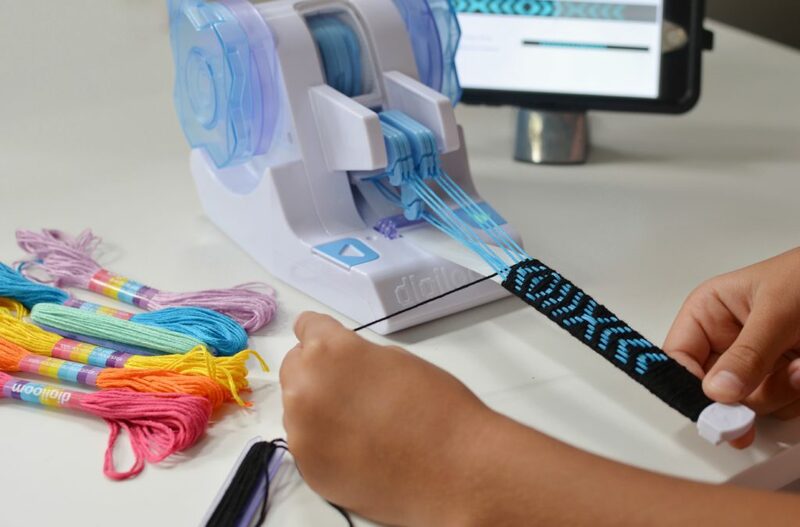 I would love to use this to craft with my niece. She loves learning new things. This looks like so much fun. I bet my daughter would love to do it. It would be a great craft for us to do together. Wow, awesome product. My daughters would have a lot of fun with this. This is going to be the next craze! My daughter is would love this! This soooo cool! Imagine all the bracelets I could have made when I was a kid if I had something this awesome! This is so much fun! My niece would love this! My son would love this! He’s been making bracelets all summer. This looks like so much fun. My nieces would love it. What a great way to encourage creativity and unplugged play! There’s nothing better than homemade gifts! My daughter and I have been super crafty lately, this would be a perfect next project!! This looks like it would be easy for my daughter to use, and the bracelets it makes look sturdy, too. I would love to get one. Wow, so cool !! My son would love it. That looks like so much fun! My daughter and I would enjoy making these together. What a cool machine!!!! It allows for so much creativity! The kids and I would have a blast! This would be great for me and the kid’s to try, always looking for something they can help with, think they would love it. What a super gadget!!! 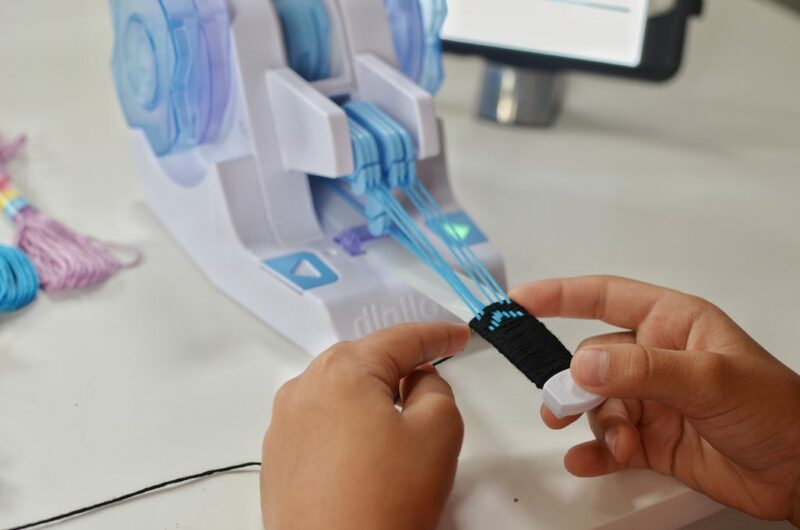 Anyone of any age could really enjoy using the Digloom for a multitude of projects! Granddaughter would love this! How cool! my daughters would love to have one of these, looks so cool! The WowWee Digiloom looks like fun. The friendship bracelets it turns out actually look pretty nice. I like that it’s not “one of those press a button and the machine does everything for you toys” and that you actually get to do some manual weaving. Those are neat! Looks like a fun project to make things for friends/family! This looks so neat that I can see myself using it as well as my kids!! That’s so neat!!!! My daughter is 8 and would love it! My great niece would so love this!!! This looks like so much fun! My daughter and i would love to make things with this! I know five sisters who would have a blast with this! Forget the kids, I want to try this! We recently tried making bracelets and they ended up being a knotted mess! My 7 & 10 would love this! My 12-year old granddaughter would really like this. 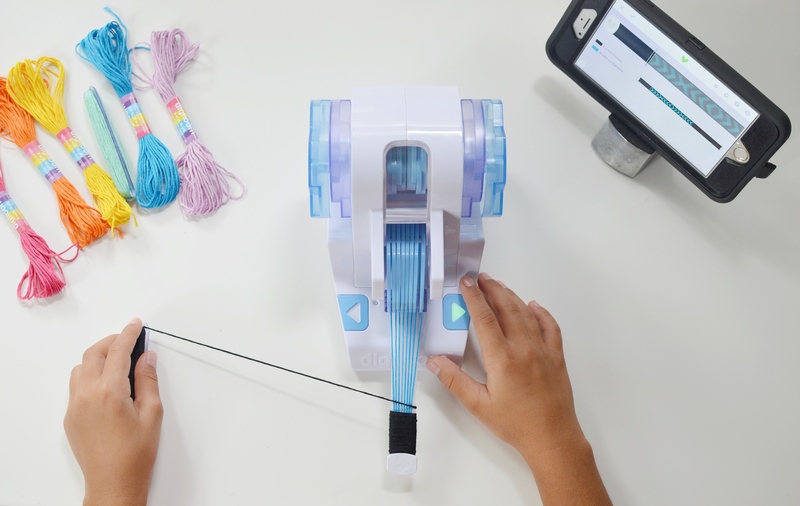 My three grands will love this innovative loom! Thank you. Thanks for the chance, these bracelets look so attractive and professionally done, wow! I’m impressed with the look and the fun making it, can’t wait to dig in and get my creative on! wow this looks soo awesome! me and my daughter would have fun making bracelets together! This is so awesome! I used to make these when I was younger with no help! This will be great for my teenage daughters! That looks so neat! I remember making bracelets in summer camp. My niece is getting into arts & crafts and would love this! This would be awesome to do with the grandkids. And let them make some for their friends. Oh my goodness, between my granddaughters and my Girl Scout Troop this is gonna be a HUGE HIT!!! Thanks for the great review!! My kids would love this and probably fight over it.. Thank you for the chance! Thanks for the intro to the digiloom! I will be sure to check it out. Hi – this looks spectacular!! Would love to win!!! Thanks so much for the opportunity! I wish we’d had these when I was a kid. So jealous! My daughter makes bracelets all the time. This would be awesome for her! I would love to have this to make for my great grandsons class.I send his class a goodie bag every month because he goes to school in Pa. and I live in Va. Its my way of showing him that I care about what he does beings I live far away.And his class mates really enjoy it. My girls would love this! These are way cool looking bracelets! Looks like so much fun – my daughter Olivia would love this, she loves doing crafts of all kinds!!! Cool! I could see a lot of people in our family using it for different projects. That’s Awesome! I would have so much fun with that! This would be so cool to win for my sister’s daughter. You guys are the greatest for this awesome giveaway. Thanks. this is a great idea. I have made these bracelets since I was a young girl and taught my 2 daughters how to make them as well. Now that i am older it really bothers my hands to do things like this! I have so many that would fall in love with this, that I may have to go buy a few , they look like so much fun. My grand kids would actually put down the tablet/phones to do this! Thank you for the opportunity. That looks like such a great gift. I always donate gifts a Christmas to families in need. How excited would a kid be to get this!!! My kids are all older now 😟 no toys like this anymore. This is super cool, how interesting! I would love to try! My girls would love this…and so would I! My niece would love this. What a great tool! I have 4 adopted granddaughters that would love to do this with me. How fun!!! I would love to try this with my daughter. This would be such an awesome gift for my niece. Thanks for the chance. Oh wow, this looks like so much fun! My daughter and I would have so much fun with this! Loved making bracelets as a kid!! This would be amazing, thank you for the opportunity. Great for artistic and creative designs!!!!!!!!!!!!!!!!!!!! This is so cool! I would totally love to try it! I have a daughter who would love this! I’m in love with anything that keeps the kids busy and gets their creative juices moving! Oh ~~ My granddaughter would love, love, love this! My crafty teen would love this. She is very into jewelry making. I think any child, boy or girl, would enjoy using this and creating items with what they make on this loom. I would love to use this with my granddaughters. We all love doing crafts. My daughter would love this she is so creative and loves to do any sort of craft type of activity. Frankly, my retired husband would enjoy using a Digiloom. My niece loves making crafts and this would be so perfect for her! Fingers crossed I can win this for my little sweetie. Looks awesome! Would love to do this with my daughter. Such a fun hobby for the kids! Thanks for the chance to win! I love doing things like this with my nieces. This would be hours of fun! I know a little girl at my church who would love this! Thanks for the chance to enter. Both of my kids would love it.